The problem with a multicultural and multilingual nation like India is that most of the time we are alien to the works published in the different bhasha literatures other than our own mother tongue. Thus the link language becomes English and the only way to savour the rich heritage of our regional fiction is through translation. A vibrant interest in publishing translated works originally written in different regional languages has in recent times taken the Indian publishing world by storm. The volume under review is a collection of twenty-eight short stories by writers of Telugu fiction who have carved a niche for themselves in the annals of Indian literature, comprising eight male and nine female writers, stalwarts of yesteryears as well as contemporary ones who have contributed to the development of Telugu literature substantially. 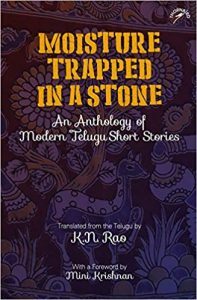 Even though they are situated within the perimeters of Telugu culture and lifestyle, their stories also address issues of national relevance which any non-Telugu reader can also appreciate. The twenty-eight stories included here depict wide ranging issues from feudalistic prejudices to present-day problems involving race, caste, religion, political ideologies, the village and city divide and family relationships. Vasundhara’s ‘Her Very Own Rubicon’ portrays a conservative and traditional grandmother who ‘drew a line of demarcation and created a Rubicon, her very own, ready to punish one who dares to cross it but kind, loving, generous, ready to give away her possessions to anyone in need’ is very Indian and anyone can identify her with his or her own grandmother. Kolipaka Ramamani’s interesting story ‘Jasmine on a Lattice’ written in an epistolary form talks about a woman’s grief over the death of a plant. In ‘Wait Until Tomorrow’, the protagonist Ramanayya is shown running away from his numerous debtors till he escapes permanently by committing suicide but is cautious enough to ensure that his wife survives with dignity in his absence. ‘The Cover’ by Mohammad Khadeer Babu is a touching tale of a Muslim family that moves from the district to the Old City in Hyderabad to pursue their dream of upward mobility in life. When that dream gets shattered with the man’s death, the two unmarried daughters who eagerly wait to find a groom and in the end the young son Samad, who quits engineering school midway to leave the house forever, unable to repay the loan taken for his education, are so typically Indian that it can be savoured by everyone alike. In another story entitled ‘Management’, a man is portrayed to be steeped in poverty and debt and unable to provide for his huge family of eight children, plays the mridangam to console himself by thinking he is Lord Shiva himself. Like many modern short stories, some of the ones narrated here have very strange and surprising endings too. ‘A Potion of Pride and Prejudice’ by Kalyana Sundari Jagannath is the story of a sick old man who stays in his dilapidated house and does not leave it till in his deathbed. In ‘A Gift of Gingelly Seeds’, Rentala Nageswara Rao makes his readers aware of the hierarchy prevalent even within the Brahmin priests when Subbaiah, a priest survives on tiladanam ritual and cannot understand the Naxalite ideology of his son who is a fugitive with a price on his head. Political feud, keeping arms at home, party politics, residents picked up at night by the police, influential friends freeing a prisoner from the police station, depict the ground reality of the socio-political situation of Andhra Pradesh vividly in the story ‘The Citadel in Disrepair’. In the end the narrator thinks that a drug should be invented to cure or eradicate the disease in society. The other stories also range from the serious to the satirical, from light-hearted humour to gravely discursive issues. In some stories again, the significance of seemingly trivial matters is highlighted with style and poise. Somdatta Mandal is Professor of English, Visva-Bharati University, Santiniketan.